I will deal with each of the power groups separately but will start with the French (if only because they are currently on my painting table). When complete, the French will consist of Aeronefs, Land Ironclads and more conventional forces. The organisation for these forces is based somewhat on that suggested within the Land Ironclad Rules as well as with the figures, vehicles and vessels I have available or are willing to purchase. These then are the infantry, cavalry, artillery, R-Matter and digs and Land Ironclads of the Ancien Régime modified by a brief exposure to the Third Republic – caused by the loss of the war with Prussia by Napoleon III. As the Third Republic moved forward into the late 19th Century, the French themselves still found themselves longing for the glory and the times of the Bourbons and Valois and so the Ancien Régime was reinstated. France, in Peshawar, is a monarchy, albeit a constitutional one, with a Parliament and a people dedicated to the glory of France. The conventional forces of the Ancien Régime consist of Infantry, Cavalry and Artillery. 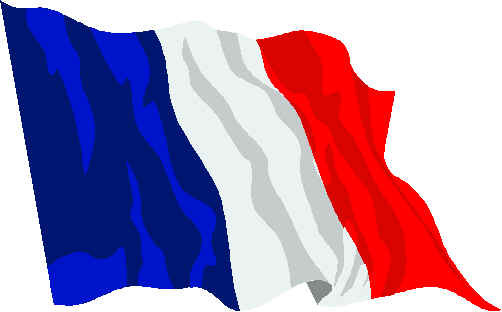 After the losses to the Prussians in the second half of the 19th Century, the French reorganised their land forces. French Infantry Companies are the largest in Peshawar, larger even than the Russian and Italian companies. Four companies of infantry together make a battalion of 1000 men and three battalions form an infantry regiment. Generally one battalion remains as a depot battalion whilst two battalions take the field. They may not always be deployed in the same theatre however. Also it is not uncommon for companies to be detached – usually two companies being detached together to meet specific needs. These organisations are a result of the reorganisation that followed the loss to the Prussians. 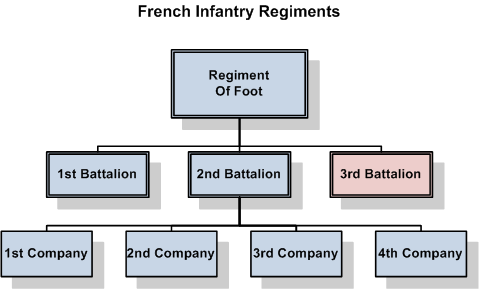 Within the game of Peshawar, each French Company will be represented by two bases (elements) of Infantry, so 8 elements of foot per battalion, 16 per regiment in the field. The light infantry, Chasseurs a Pied, will have the same organisation. French Cavalry regiments comprised of four squadrons, with 120 men in each squadron. The entire regiment took the field when required and the organisation is the same for Heavy or Light Regiments. This gave French Cavalry regiments a strength of 480 troopers. French artillery consisted of the standard French artillery pieces as well as the more new fangled canon à balles or as they have become more popularly known, mitrailleuse. Artillery batteries were reorganised part way through the 19th Century dues to funding cuts and were now organised as six-guns per battery. However, the mitrailleuse battery was organised with a smaller number of guns, in this case three, per battery. Artillery operated as batteries on the battlefield with batteries grouped together for administrative purposes in depots. For Peshawar, the French batteries are organised as 6-guns for field or horse artillery battery, 3-guns for a mitrailleuse battery. The next instalment in Peshawar will look at the Developmental French Forces – Land Ironclads, those forces that have supplemented the conventional forces of the Ancien Régime – the Land Ironclads and contraptions. Vive la France et vive le Roi! The French phase 1 are finished at the moment as are the British Aeronefs so some aerial brawling is in order at the moment. I am currently looking at painting the German Aeronefs as well as the British Land Ironclads. I have the infantry and cavalry ready for painting for the British, the Russians and the Germans (still have to purchase the Japanese … but that is a later phase of the project). Next Aeronef purchase will be for the Russian 'nefs followed by French and Russian Land Ironclads.